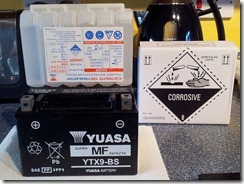 The new battery arrived today, to replace the naked one on the ZX-9R. Kawasaki wanted £72 for the battery but I managed to get it off Ebay delivered for £29.99. 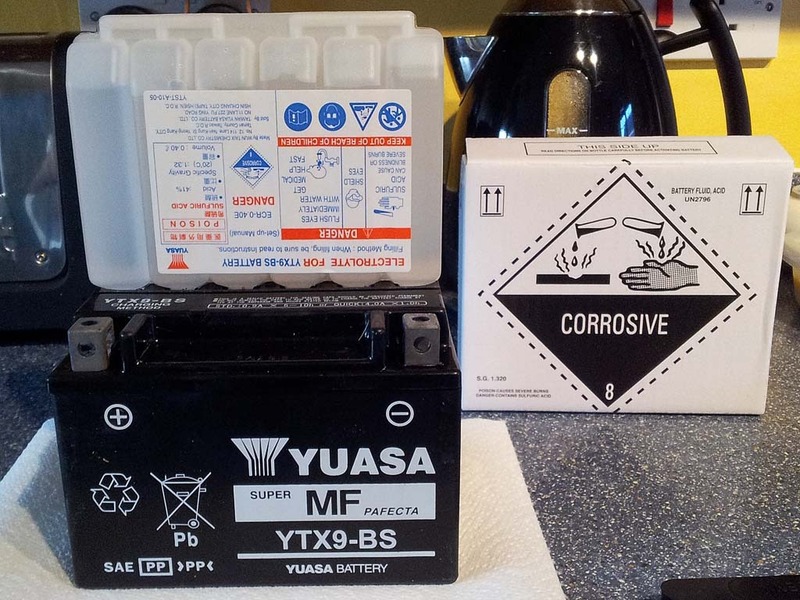 It is a genuine Yuasa YTX9-BS battery, but I did have to put the acid in myself. Which was something I have never had to do before. Just put it on charge in the garage before I put it on the bike tomorrow.